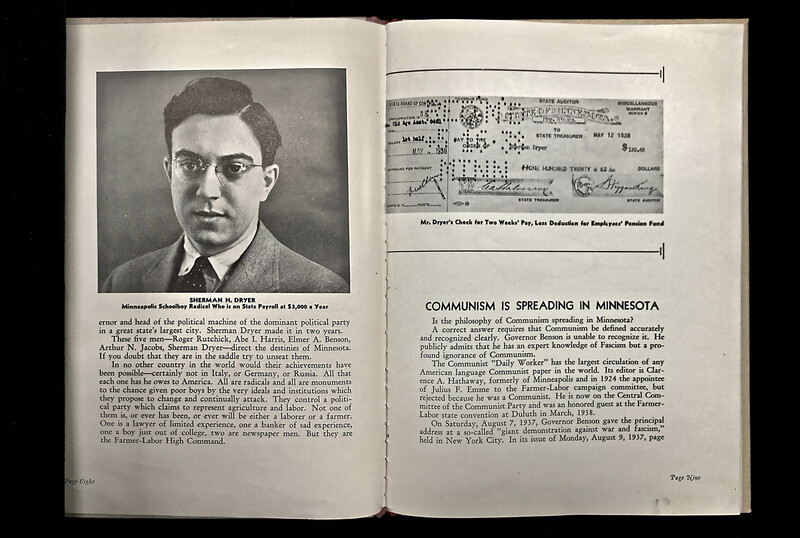 Political battles raged at the University of Minnesota, and on campuses throughout the United States, from the 1930s to the early 1940s. 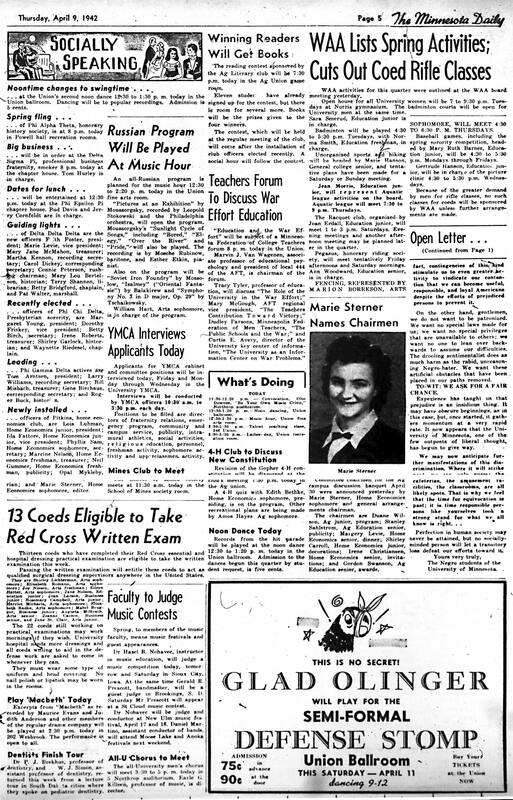 The battles were among students, but particularly between students and administrators. 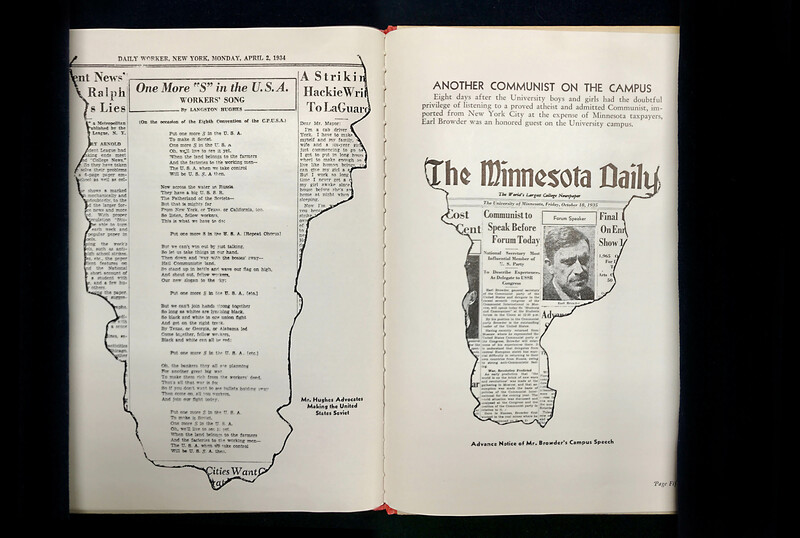 The University of Minnesota was divided over issues, which included racism, antisemitism, opposition to war, and student rights. 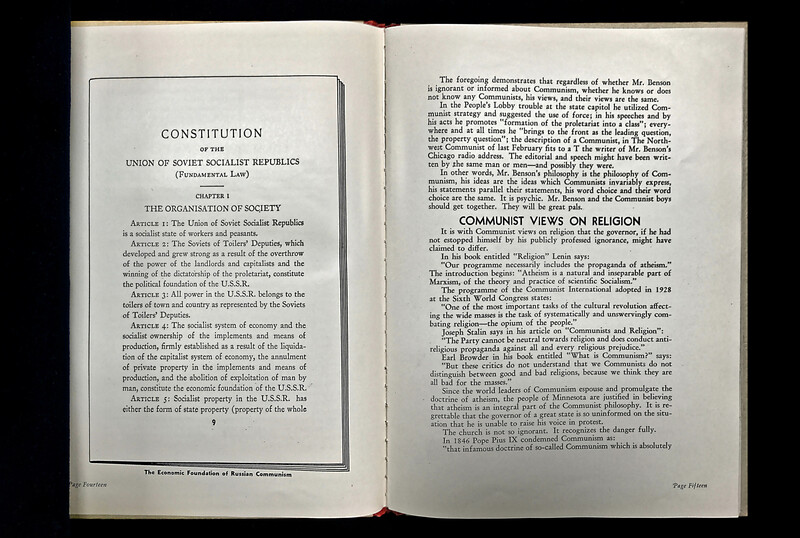 They mirrored national issues. 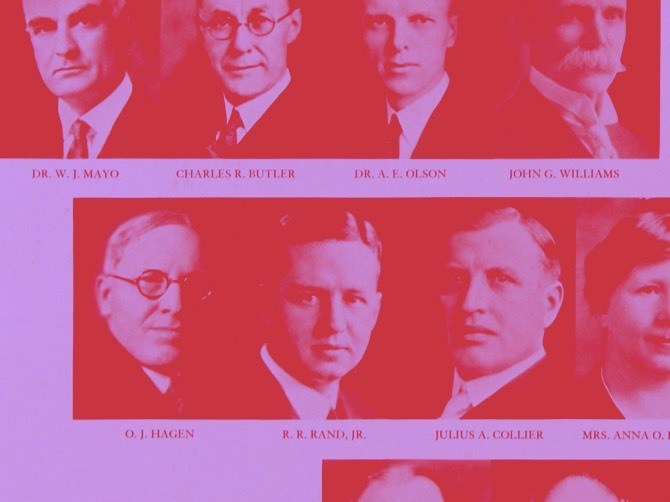 University of Minnesota presidents, deans, and other administrators routinely surveilled students and faculty for their political beliefs and activities. 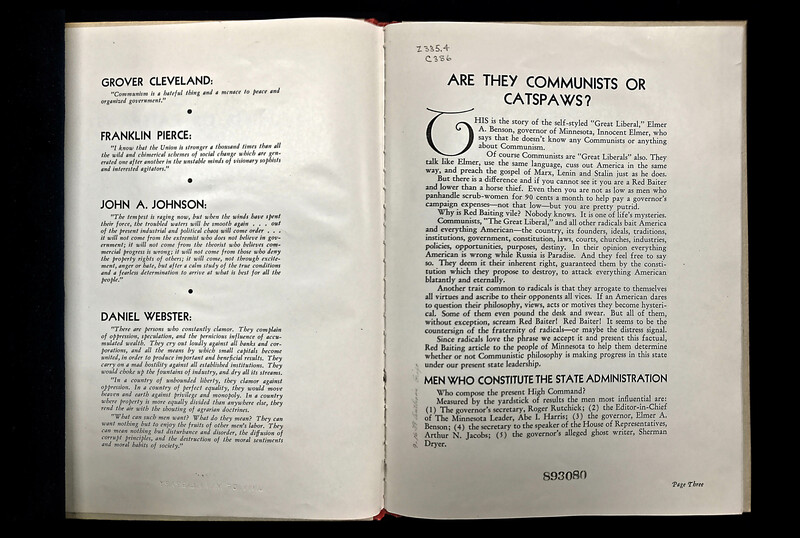 They attacked progressive student activism in order to create a campus in the narrow and distorted image of an “America First” nation. 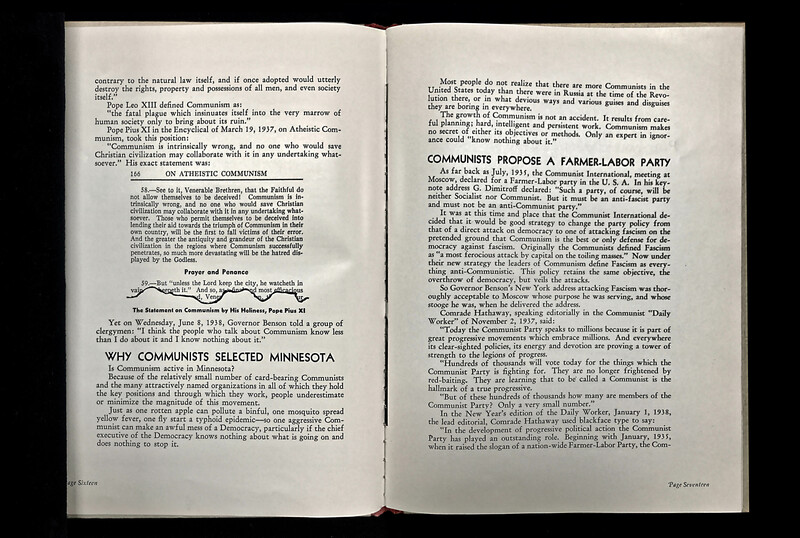 Some provided information to Republican politicians about student activists to aid their quest to demonstrate that Communists had “infiltrated” the University, in order to affect the outcome of state elections. 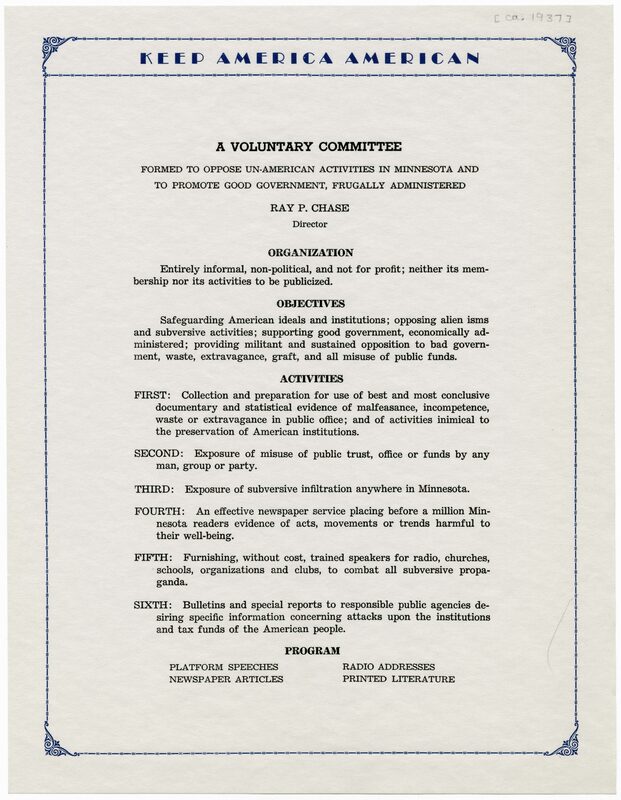 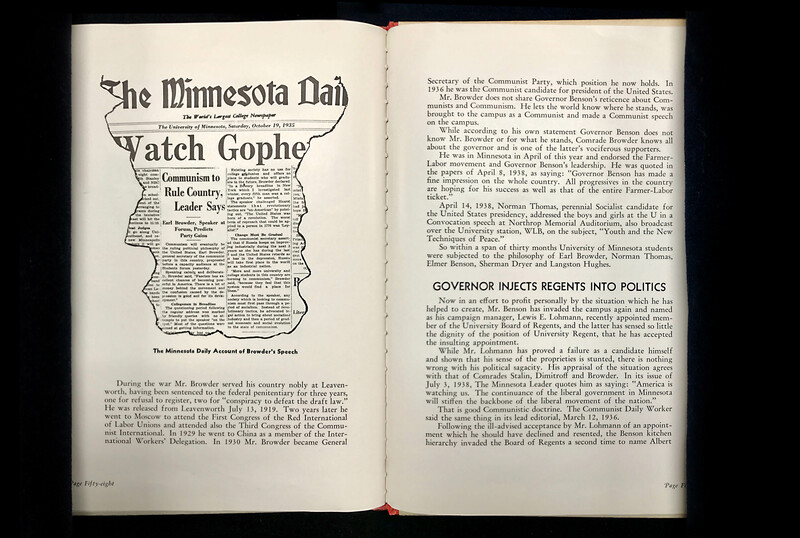 They sought to influence many things, from what the student newspaper, the Minnesota Daily, published, to the distribution of political materials by students, to the appointment of members of the Board of Regents who oversaw the University. 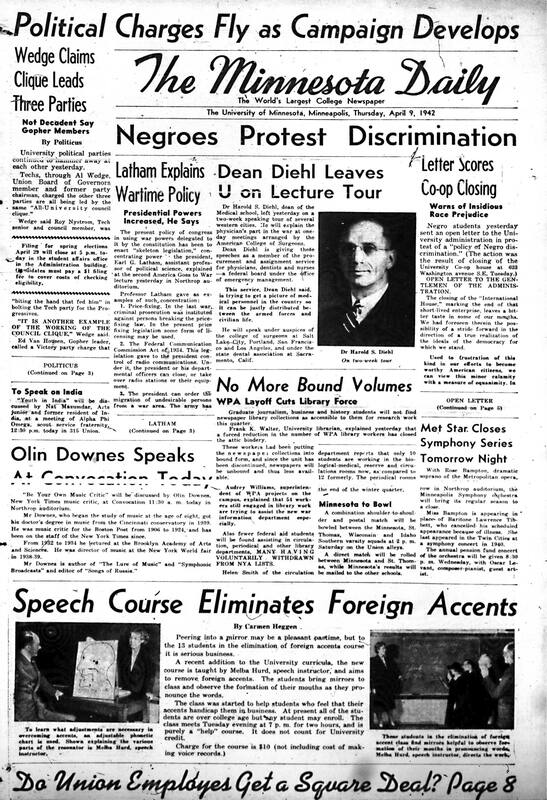 Racism and antisemitism were part and parcel of campus life. 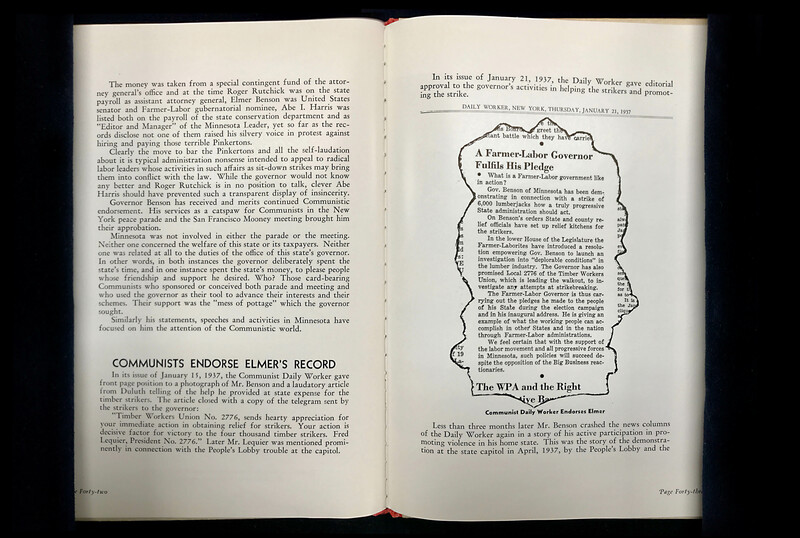 University administrators, with a few important exceptions, were architects of the racially segregated, publicly-financed housing on campus, and approved off-campus housing where Jews were also not welcome. 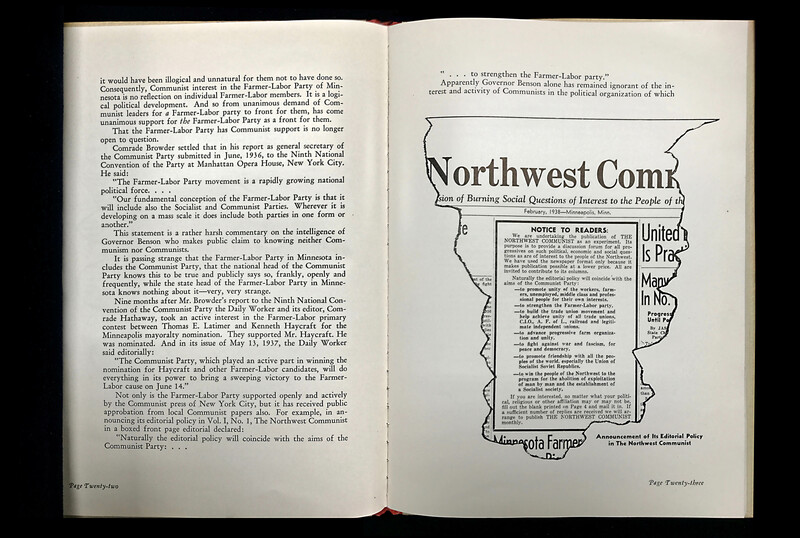 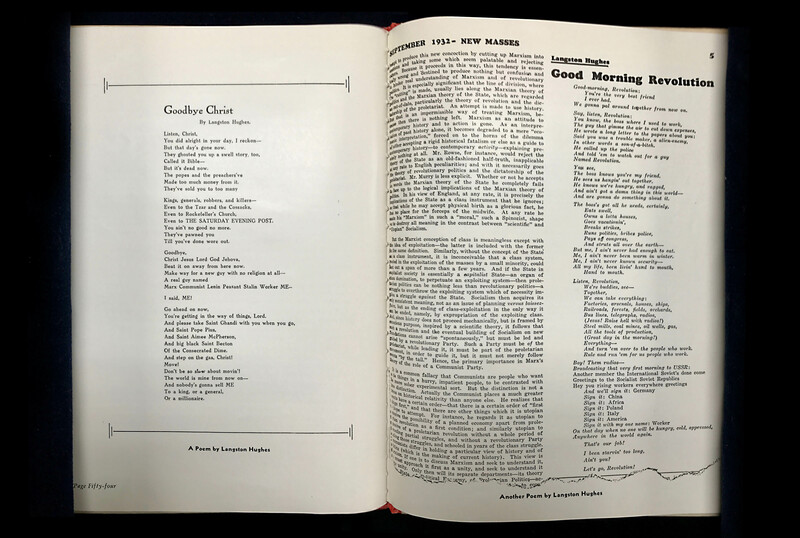 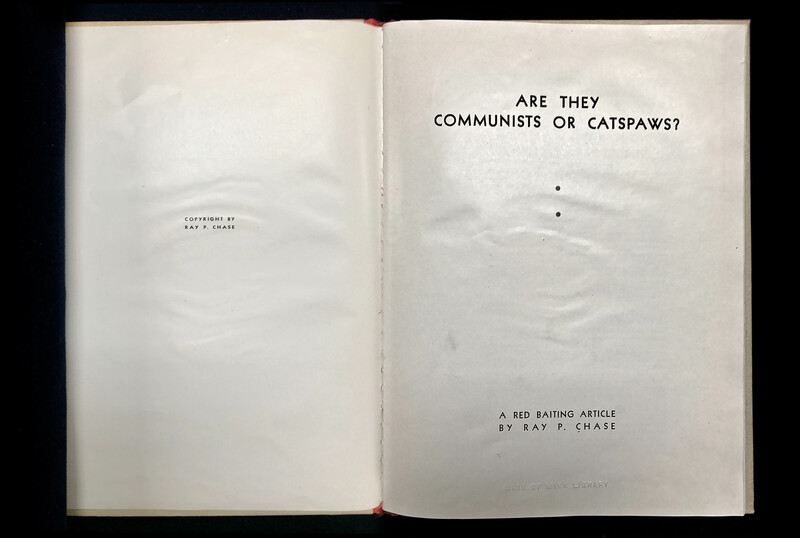 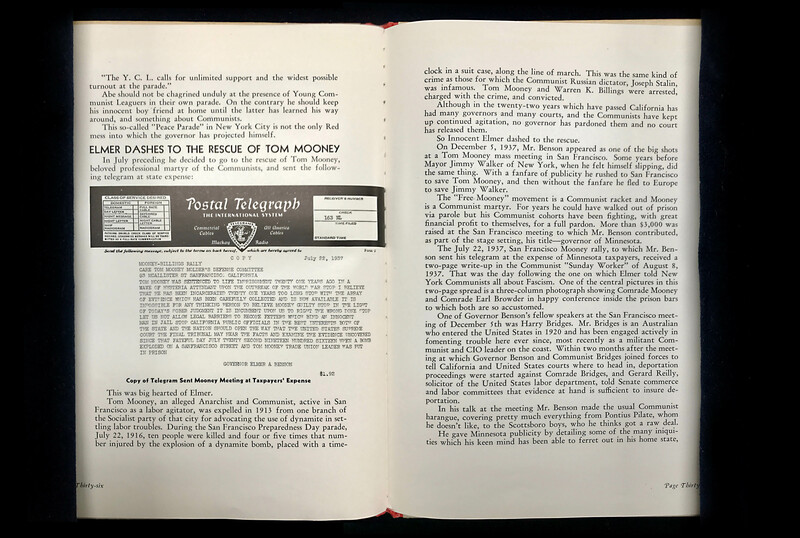 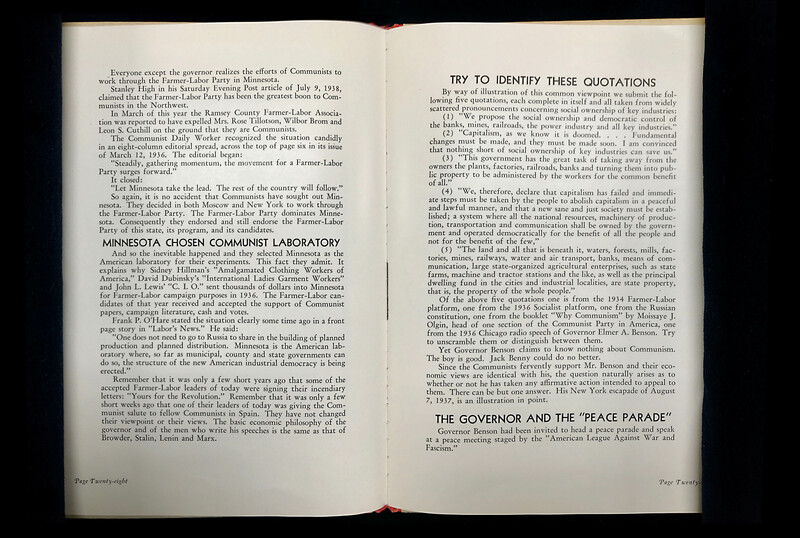 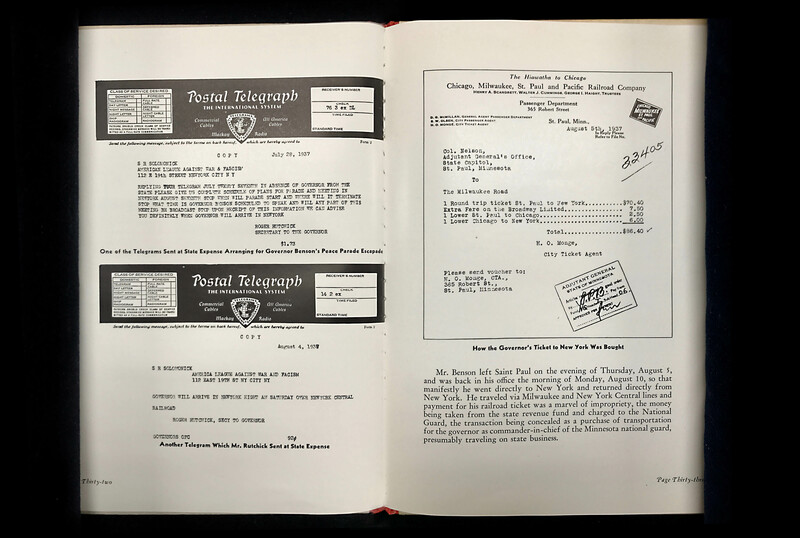 Are They Communists or Catspaws: A Red Baiting Pamphlet was created by Ray P. Chase, and circulated the month before the 1938 gubernatorial election between Farmer-Labor candidate Governor Elmer Benson and Republican challenger Harold Stassen. 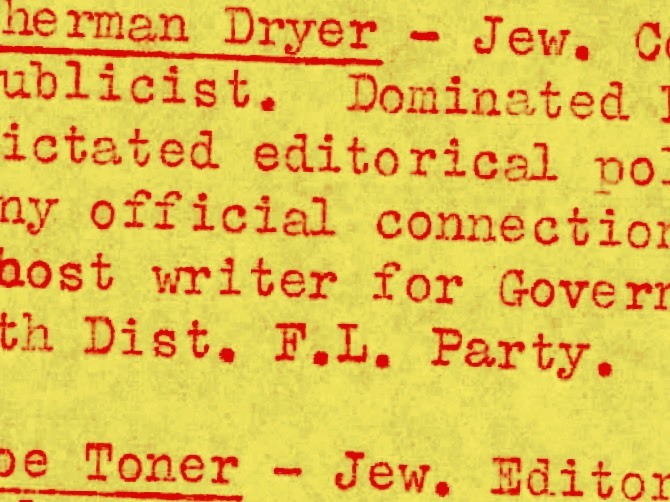 Chase claimed that Benson’s inner circle of five advisors were communists and implied they were Jews. 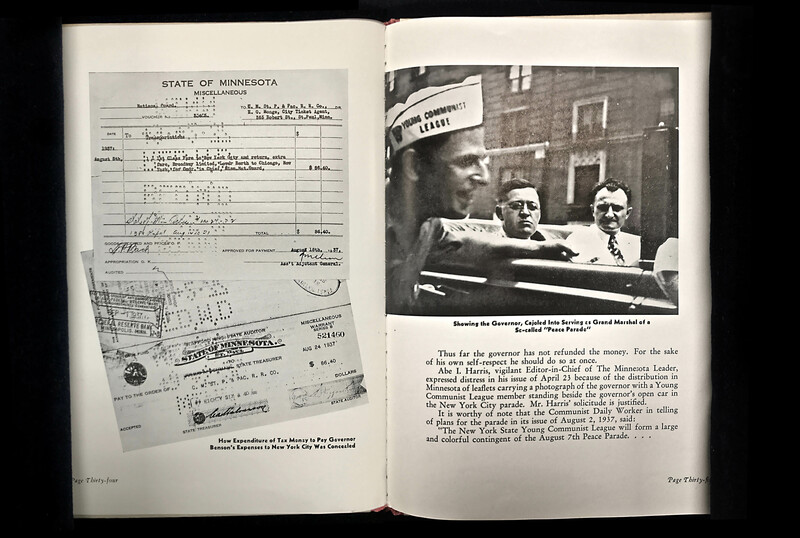 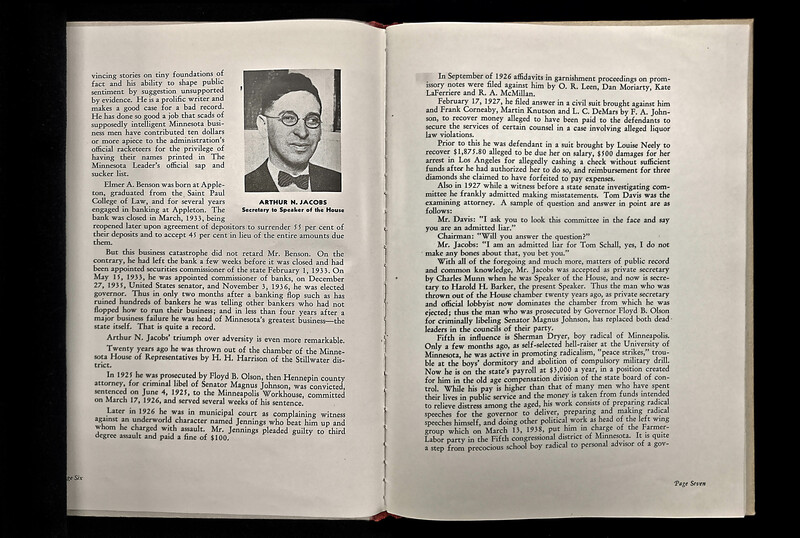 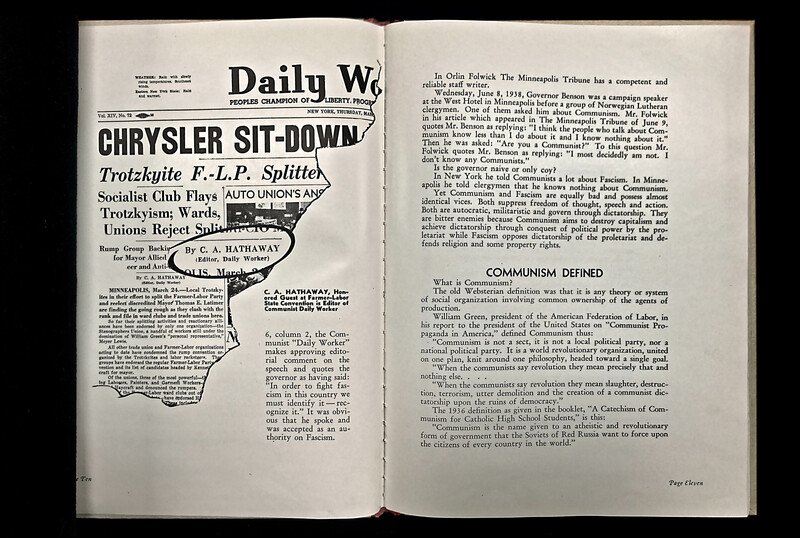 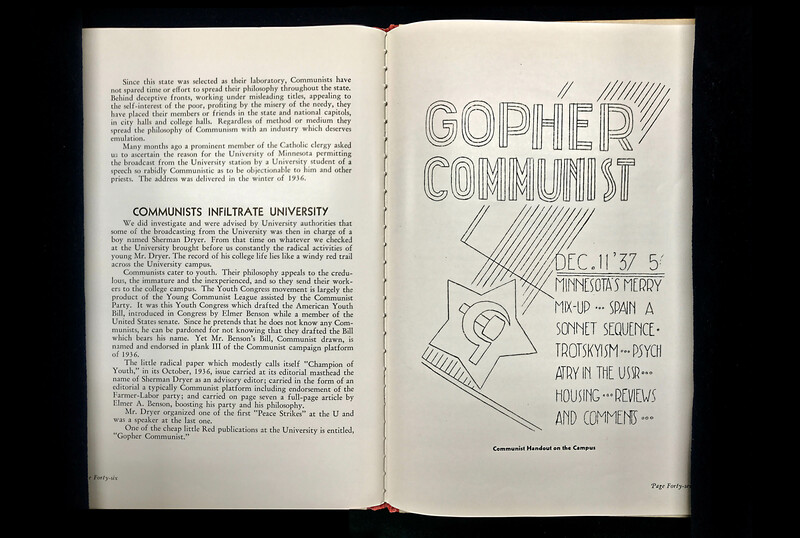 He devoted many pages to the University of Minnesota to demonstrate that it was infiltrated by Communists under Bensen’s watch. 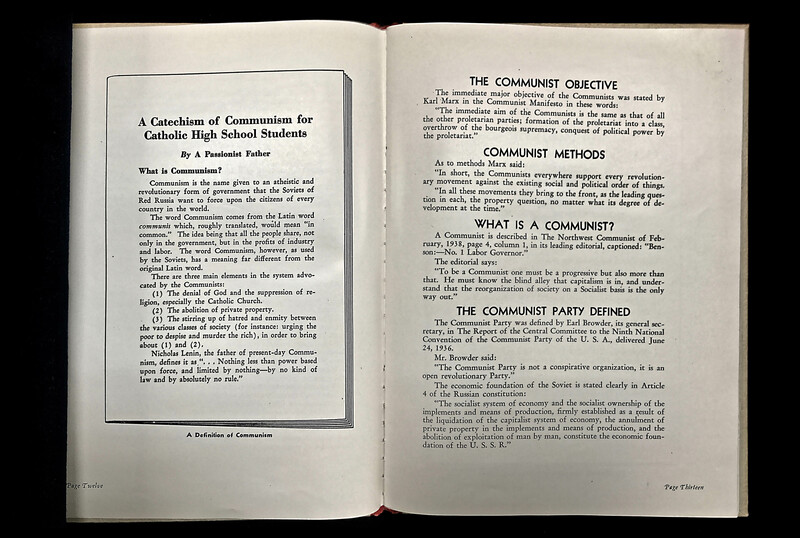 Although attacked for its lies, it was applauded by some in the press and some church leaders. 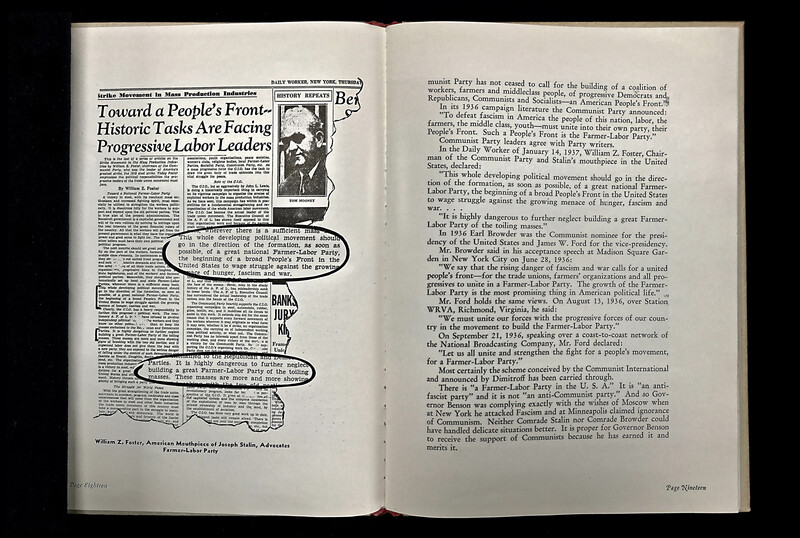 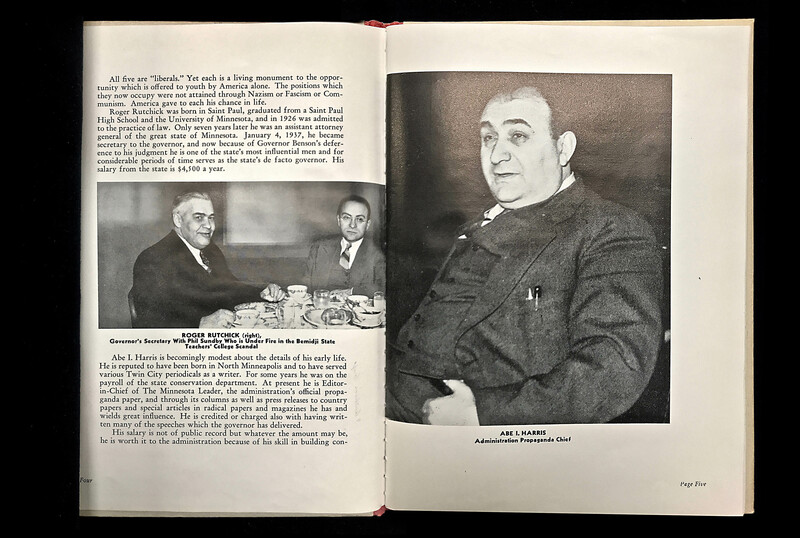 Its lies and manipulated photographs were revealed by the Benson campaign in a response. 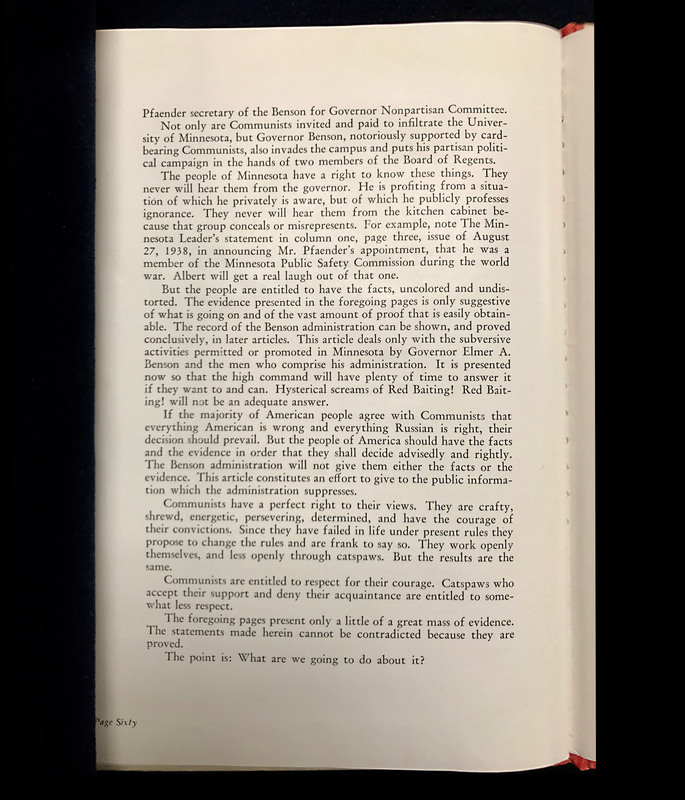 The full text of the American Youth Congress’ “Declaration of the Rights of American Youth” is available here. 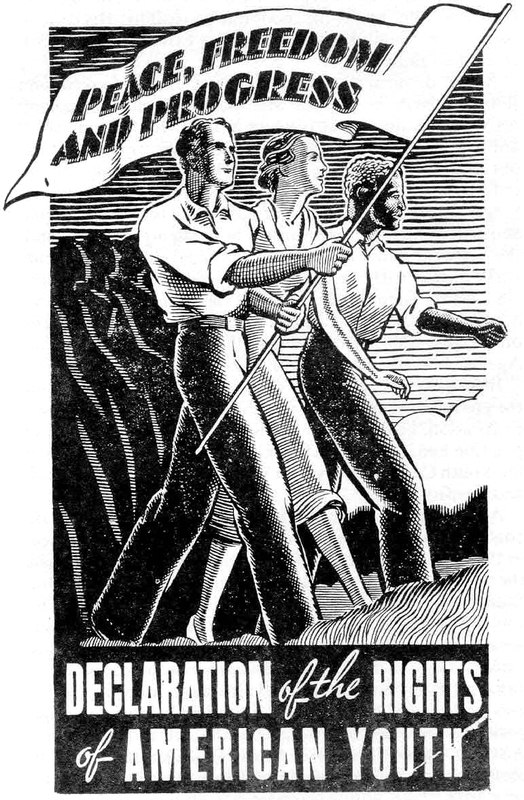 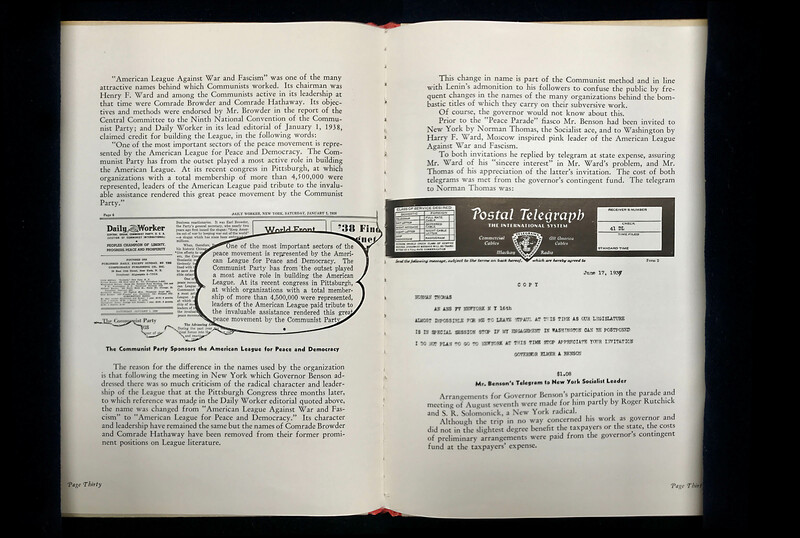 On July 4, 1936, members of the American Youth Congress announced their “Declaration of the Rights of American Youth.” Noting the threat of war, they asserted the need for “full educational opportunities, steady employment at adequate wages, and security in time of need, civil rights, religious freedom, and peace.” The inclusion of an African American and a white woman student underlined their commitment to diversity. 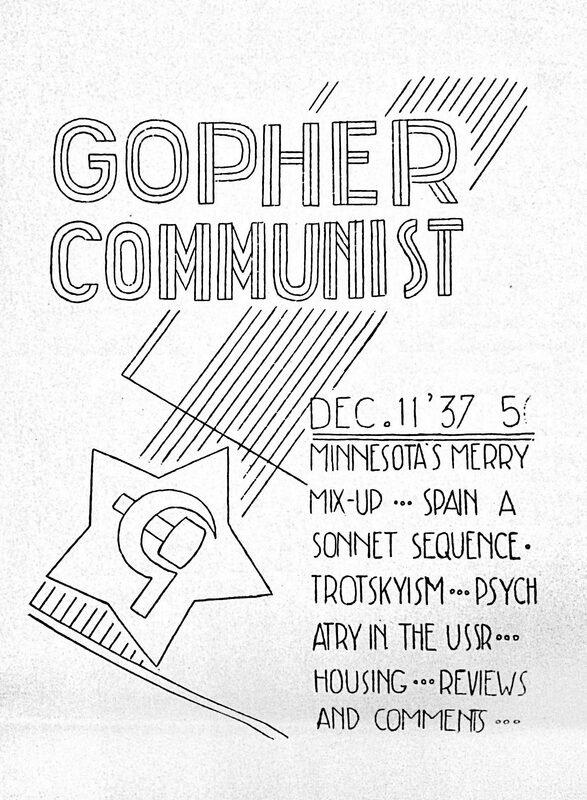 This cover page of the Gopher Communist was found in the Ray P. Chase files related to the University of Minnesota. 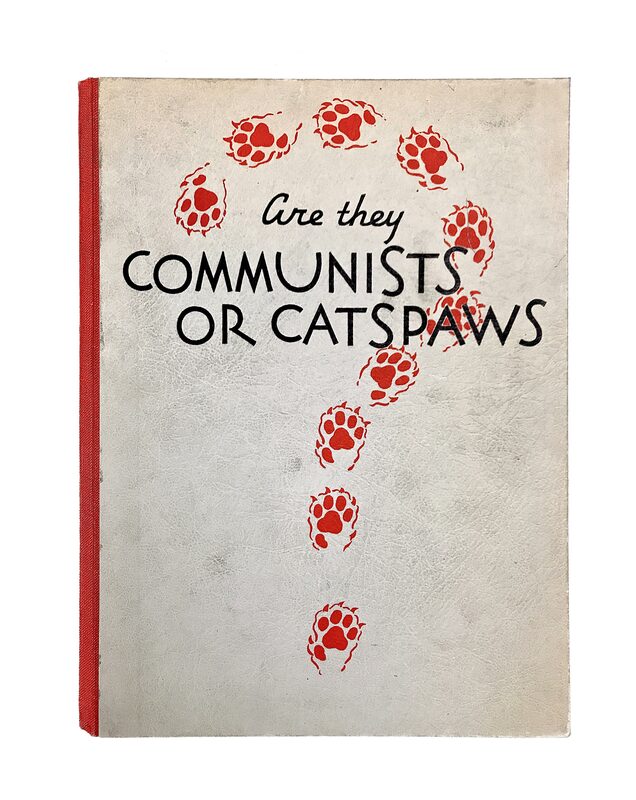 It dates from the 1930s. 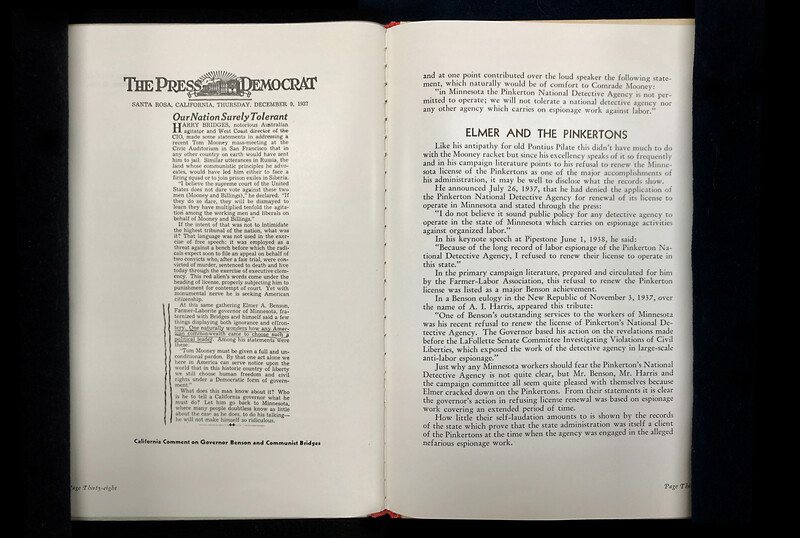 The articles listed on the cover are typical of the concerns of the American Left of this period. 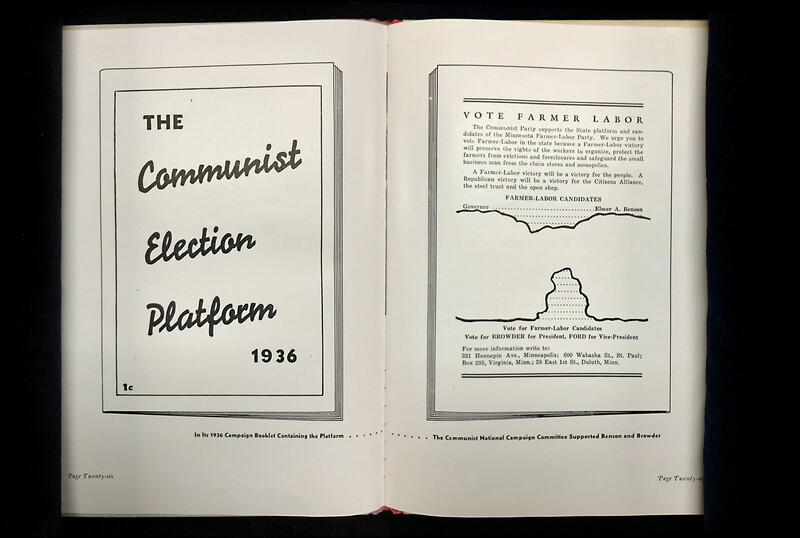 University life offered the opportunity to engage global, national, and state politics, both in the classroom and on the campus, where the most important issues of the day mattered deeply. 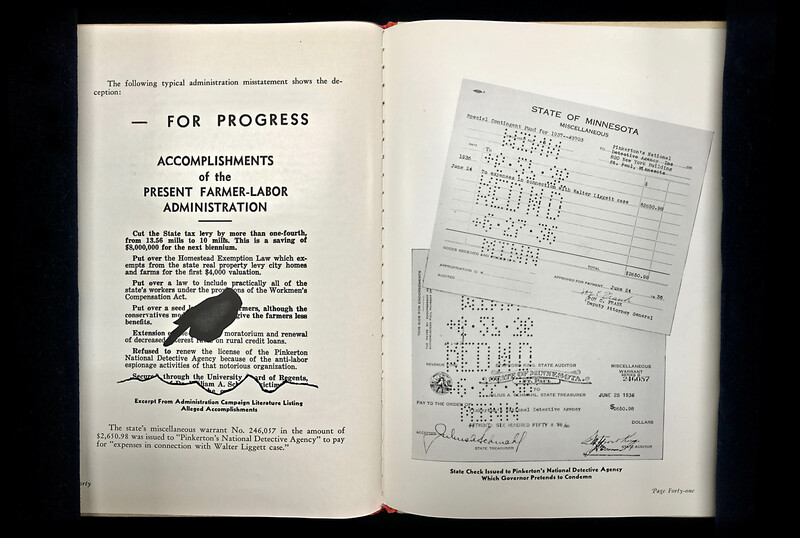 The campus struggles were embedded in the politics of the State of Minnesota, which elected three governors, members of congress, senators, and local politicians from the Farmer-Labor Party, one of the nation’s most effective third parties. 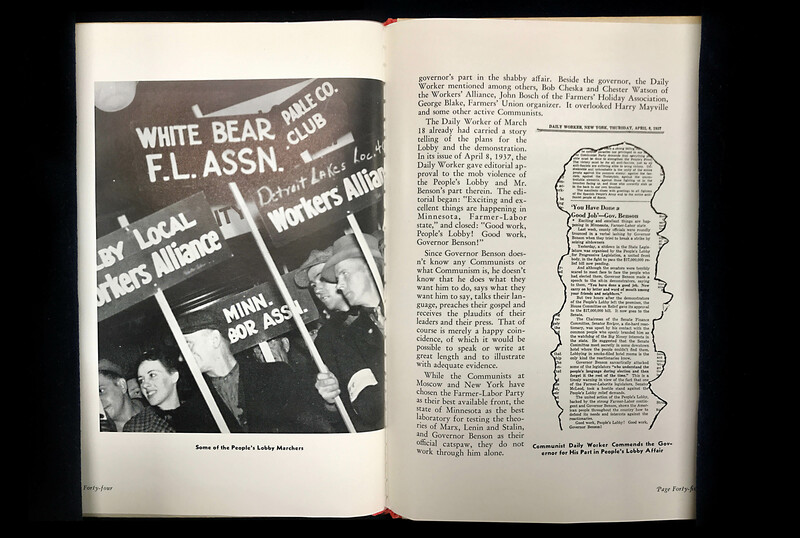 All campus conflicts were embedded in larger state-wide politics, and many administrators supported efforts to defeat Farmer-Laborites. 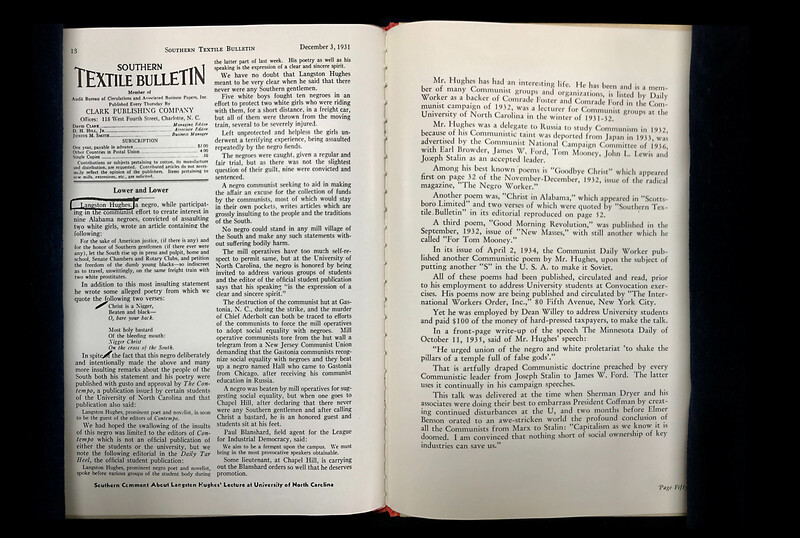 University life offered the opportunity to engage global, national, and state politics, both in the classroom and on the campus, where the most important issues of the day mattered deeply. 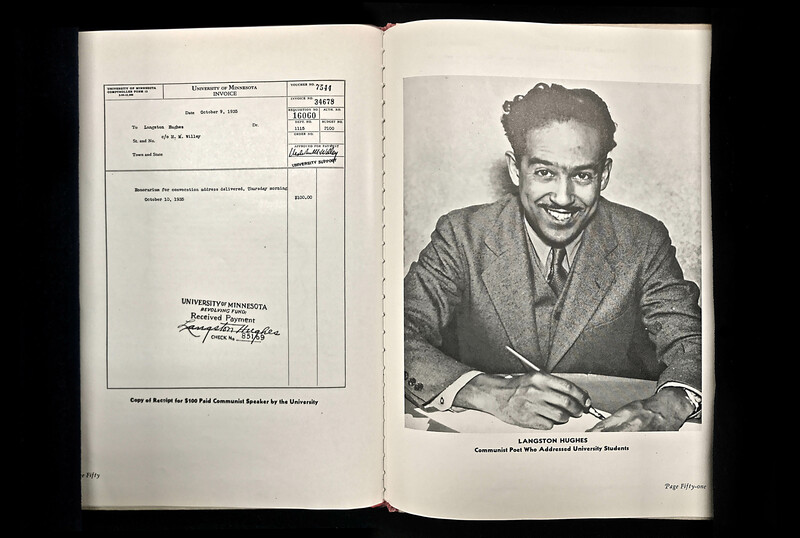 Students were willing to fight for the ideas and principles that would shape the rest of their lives. 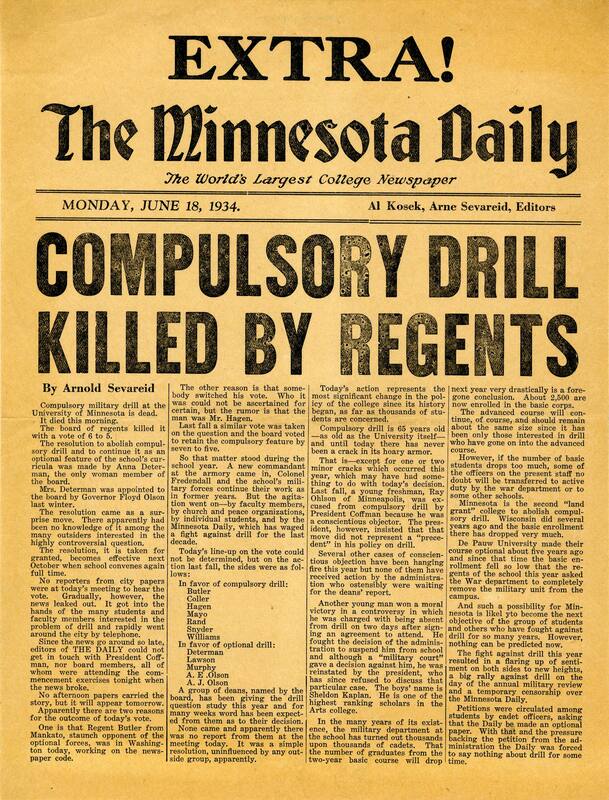 Despite the ongoing efforts by administrators to suppress student activism and maintain racially segregated student housing, student activists were remarkably successful at creating change. 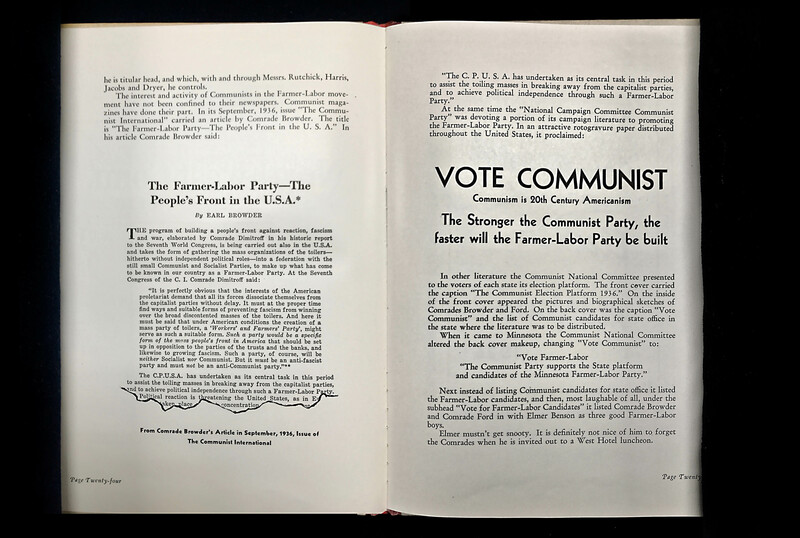 They succeeded because of the alliances they forged across political, religious, and racial lines. 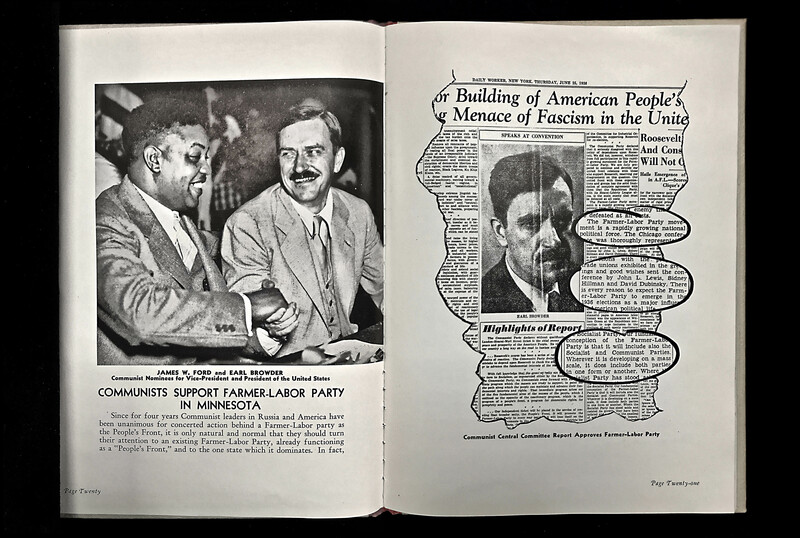 Coalitions extended beyond the campus and included local African American and Jewish communities as well as the Farmer-Labor party, the progressive political party that controlled most of the major statewide positions from 1930–1938. 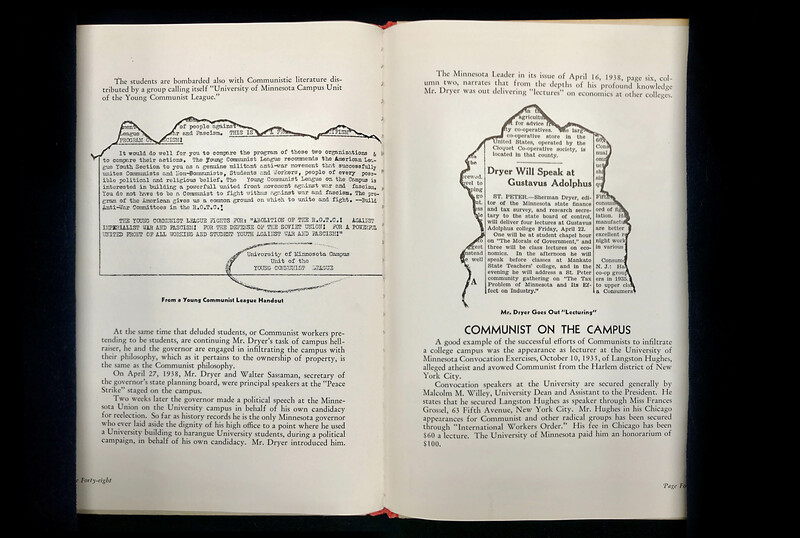 Together, they began the ongoing struggle for an inclusive University committed to political freedom.